1902 built as a steamer for J.H. Williams, Wellington. 1904 sold to Patea Shipping Company Limited. 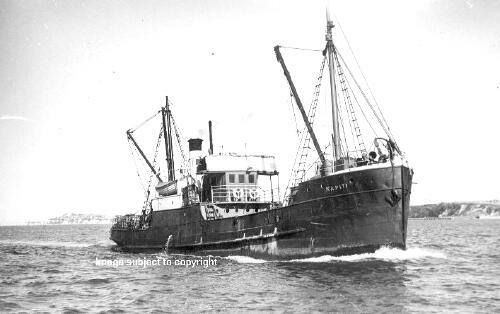 1919 passed to Coastal Shipping Co. Ltd., Wellington. 1930 converted to motor ship. 1938 sold to Northern Steam Ship Company. 1950 sold to E. Savoie, Noumea and renamed EL RETIRO. 1952 sold to D. Gubbay, Noumea. 1953 May 6th wrecked Segond Channel, Santo Island, New Hebrides.